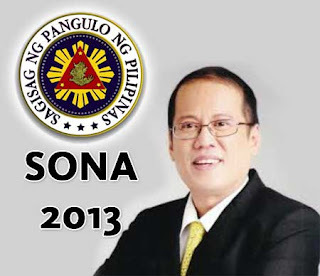 Are looking for online streaming video of PNoy State of the Nation Address (S.O.N.A) 2013? Well, you found it already here. President Benigno Noynoy Aquino III will delivered his speech at exactly 4:00 pm today live at Batasan Pambansa Complex in Commonwealth, Quezon City. The video below is the replay coverage of the Fourth State of the Nation Address of our President Benigno Noynoy Aquino III. You can watch below the S.O.N.A 2013 replay video. The video or live stream embedded here is not intended to be copyrighted, it is only embedded for shared. See my Disclaimer at the footer section before you watch the video or live streaming. You may click the link below for your other references. For the meantime, If you like this details, please bookmark it now or visit this site more often for you to be updated. You may also share this post to your friends so they may know about 4th State of the Nation Address Live Stream. Comments or suggestions about "Watch SONA 2013 Replay Video: The 4th State of the Nation Address" is important to us, you may share it by using the comment box below.